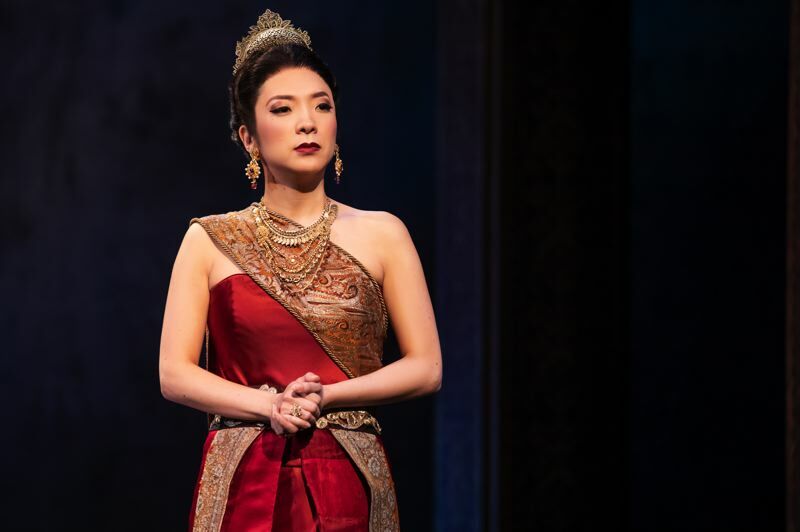 Family and friends are gathering in Portland this week to watch DeAnna Choi perform in "The King and I" at the Keller Auditorium. And Choi couldn't be happier. Growing up in Beaverton and attending Sunset High School, she misses people in the Portland area, which she hasn't visited in about 10 years. "My aunt and cousins and friends from high school are there," said Choi, who's part of the Broadway tour of "The King and I," which continues through Sunday, Jan. 13. "My parents live in San Jose (California), but they just recently got a condominium in Portland. "I am super excited. It's destiny for me to come back to the city, and work in a professional manner at the Keller, a huge auditorium." Choi, 37, graduated from Sunset in 1999. She plays Lady Thiang in the Rodgers and Hammerstein classic about a British schoolteacher and her relationship with the King of Siam in 1860s Bangkok. It's Choi's national tour debut. She has performed Off-Broadway and in some regional theater, but not on the national stage. It's a bit of a breakthrough for Choi, who lives in New York City and works as an actor — and in accounting and bookkeeping to make ends meet. "It's been one of the most challenging experiences of my life, but at the same time the most rewarding performing eight to nine shows a week," she said. "You feel like an athlete. You wake up, go to the gym, make sure you're eating properly, get your mind-set ready to put on a show. ... The energy for an actor is incredible, performing for three hours straight. It's exhilarating." The Lady Thiang character is the head wife of the King of Siam — essentially the level of a queen. She is strong, devoted and loyal to her king and country. Said Choi: "She has such a rich story arc, and I'm excited to show that to the audience. I am a supporting character, and the two songs (she sings) are great: 'Something Wonderful,' which says that in order for someone to be great they need someone behind them to support them. That's true for all of us, you don't go alone forever. And, 'Western People Funny,' a tongue-and-cheek song, which gives us voice for a culture that seems to be backward or inferior, but in actuality it's just different." Choi's parents are from Korea, and both were in the arts. Her mother was a composition major in college and ended up conducting high school orchestras and taught piano lessons, and her father "has a stunning tenor voice. That's maybe where I got my voice." Choi performed in musical theater while at Sunset. "I had no idea that's what I wanted to do," she said. "Being Asian-American, I had these self-limiting ideas that it'd be difficult." Choi initially attended Oberlin Conservatory of Music in Ohio after graduating from Sunset, but she left after two years. Eventually she went to Berklee College of Music in Boston. Since "Hamilton," the hip-hop retelling of Alexander Hamilton and other Founding Fathers that took Broadway by storm, diversity has developed on Broadway and elsewhere. It's a step forward, Choi says. "It changed the game," she says. "I applaud people of color who see the way." 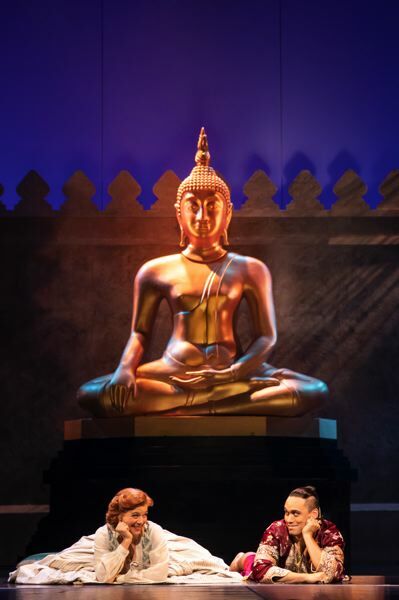 Based on the critically acclaimed Lincoln Center Theater production, which won four 2015 Tony Awards, "The King and I" continues at Keller Auditorium, 222 S.W. Clay St. Show times are 7:30 p.m. Thursday-Friday, Jan. 10-11, 2 and 7:30 p.m. Saturday, Jan. 12, and 1 p.m. Sunday, Jan. 13. For info/tickets: BroadwayInPortland.com.